Build 25727 will be deployed to the PTR realms soon. 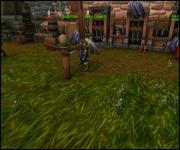 This is a small build that cleans up some data and includes some new UI portraits for the new races. We've dug into the criteria files that power the new 'quest unlock' achievements in order to see exactly what is required to unlock the new Allied Race questlines, which in turn unlock the ability to create the race. We'll need clarification from the developers to be sure, but it appears that all four Hidden Tracking Achievements for the Allied Race questline unlocks are marked as Account-wide. This should mean that you could get the reputation on one character, the required quest achievement on another, and then start the questline on yet another character, regardless of faction or server, if you wished to do so. 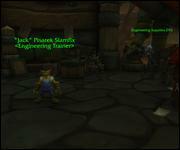 Remember, though, that in the previous PTR build we datamined a requirement to have a Level 110 character on the realm you are attempting to create an Allied Race character on. Achievement: You Are Now Prepared! 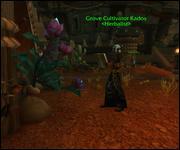 Loch Modan & Wetlands Quests (New) Complete the Loch Modan and Wetlands storylines. 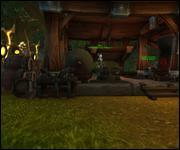 Westfall & Duskwood Quests (New) Complete the Westfall and Duskwood storylines. Allied Races: Highmountain Tauren (Hidden Character Achievement) (New) Complete the quest below. Reward: Highmountain Tauren Race Unlocked. 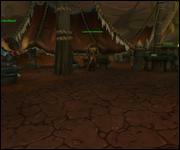 Allied Races: Highmountain Tauren Unlock Requirements Name changed from "Highmountain Tauren Unlock Requirements" to "Allied Races: Highmountain Tauren Unlock Requirements". Allied Races: Lightforged Draenei (Hidden Character Achievement) (New) Complete the quest below. Reward: Lightforged Draenei Race Unlocked. Allied Races: Lightforged Draenei Unlock Requirements (New) Account Wide. Allied Races: Nightborne (Hidden Character Achievement) (New) Complete the quest below. Reward: Nightborne Race Unlocked. Allied Races: Nightborne Unlock Requirements (New) Account Wide. Allied Races: Void Elf (Hidden Character Achievement) (New) Complete the quest below. Reward: Void Elf Race Unlocked. Allied Races: Void Elf Unlock Requirements (New) Account Wide. Forbidden Descent Name changed from "Hope's End" to "Forbidden Descent". Hope's End Name changed from "Forbidden Descent" to "Hope's End". Swelling Waves When you cast Healing Surge on yourself, you are healed again for the same for 50% of the amount 3 sec later. Shaman - Tier 3 PvP Talent. Languages Common, Darnassian. Racial Passive. Night Elf Racial. Languages Orcish, Forsaken. Racial Passive. Undead Racial. Ensemble: Crimson Sentinel Garb (New) Collect the appearances of the Crimson Sentinel Garb set. Instant. Ensemble: Goldspine Plate (New) Collect the appearances of the Goldspine Plate armor set. Instant. Ensemble: Mindwrack Raiment (New) Collect the appearances of the Mindwrack Raiment armor set. Instant. Ensemble: Tundraspite Armor (New) Collect the appearances of the Tundraspite Armor armor set. Instant. RACE_INFO_HIGHMOUNTAINTAUREN - Descended from Huln, brave hero of the War of the Ancients, the Highmountain tauren honor The tauren of Highmountain are devoted to the spirits of earth, river, and sky. Though the Legion invaded their lands and sowed seeds of distrust between them, the tribes of Highmountain stand united once more. At long last they are ready to venture beyond their sacred mountain and stand beside their kin from Kalimdor, lending their nobility and strength to the mighty Horde. After ages spent protecting their sacred mountain, they are now ready to venture out into the world beyond the Broken Isles. RACE_INFO_HIGHMOUNTAINTAUREN_FEMALE - Descended from Huln, brave hero of the War of the Ancients, the Highmountain tauren honor The tauren of Highmountain are devoted to the spirits of earth, river, and sky. Though the Legion invaded their lands and sowed seeds of distrust between them, the tribes of Highmountain stand united once more. At long last they are ready to venture beyond their sacred mountain and stand beside their kin from Kalimdor, lending their nobility and strength to the mighty Horde. After ages spent protecting their sacred mountain, they are now ready to venture out into the world beyond the Broken Isles. RACE_INFO_LIGHTFORGEDDRAENEI - For untold millennia, the Army of the Light waged Fighting a long, bitter war against the Burning Legion throughout the Twisting Nether. The draenei most committed to their long crusade would undergo a ritual to become Lightforged, infusing their bodies with the very essence of the Holy Light. After finally achieving victory on Argus, the Lightforged have undertaken a new mission: protecting Azeroth from rising threats and helping the Alliance push back against Horde aggression. 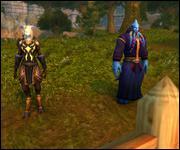 these draenei soldiers were infused with the Holy Light to become living weapons. Victorious at last, these Lightforged stand ready to defend Azeroth. RACE_INFO_LIGHTFORGEDDRAENEI_FEMALE - For untold millennia, the Army of the Light waged Fighting a long, bitter war against the Burning Legion throughout the Twisting Nether. The draenei most committed to their long crusade would undergo a ritual to become Lightforged, infusing their bodies with the very essence of the Holy Light. After finally achieving victory on Argus, the Lightforged have undertaken a new mission: protecting Azeroth from rising threats and helping the Alliance push back against Horde aggression. 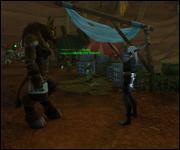 these draenei soldiers were infused with the Holy Light to become living weapons. Victorious at last, these Lightforged stand ready to defend Azeroth. RACE_INFO_NIGHTBORNE - Isolated behind a protective barrier for ten-thousand years, the elves of Suramar grew increasingly dependent upon the arcane magic of the Nightwell. To protect this font of power, the leaders of the nightborne struck a bargain with the Burning Legion that plunged their kingdom into civil war. After fighting for freedom from their demonic masters, the nightborne seek allies to help them reclaim their place in the world. The nightborne of Suramar spent millennia isolated behind an arcane barrier, slowly transformed by the magic of the Nightwell. 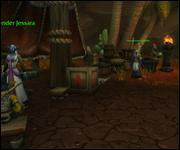 These proud, noble elves now seek to reclaim their place in Azeroth. RACE_INFO_NIGHTBORNE_FEMALE - Isolated behind a protective barrier for ten-thousand years, the elves of Suramar grew increasingly dependent upon the arcane magic of the Nightwell. To protect this font of power, the leaders of the nightborne struck a bargain with the Burning Legion that plunged their kingdom into civil war. After fighting for freedom from their demonic masters, the nightborne seek allies to help them reclaim their place in the world. The nightborne of Suramar spent millennia isolated behind an arcane barrier, slowly transformed by the magic of the Nightwell. 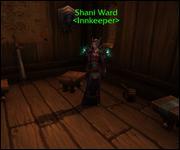 These proud, noble elves now seek to reclaim their place in Azeroth. RACE_INFO_VOIDELF - Many have sought Seeking to harness the corruptive magic of the Void. Most who tried have fallen into madness. Determined to use this power for the good of Azeroth, Alleria Windrunner is the first mortal to succeed at defying the shadow's whispers. Coming to the aid of a group of her kin who nearly gave in to the darkness, Alleria has vowed to train these void elves to control the shadows within them and pledge their newfound powers to the Alliance. these outcast elves endured an unexpected transformation. They are determined to master their newfound powers and resist the whispers eager to lure them into madness. 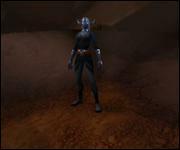 RACE_INFO_VOIDELF_FEMALE - Many have sought Seeking to harness the corruptive magic of the Void. Most who tried have fallen into madness. Determined to use this power for the good of Azeroth, Alleria Windrunner is the first mortal to succeed at defying the shadow's whispers. Coming to the aid of a group of her kin who nearly gave in to the darkness, Alleria has vowed to train these void elves to control the shadows within them and pledge their newfound powers to the Alliance. these outcast elves endured an unexpected transformation. They are determined to master their newfound powers and resist the whispers eager to lure them into madness. Suramar > The Nighthold - Name changed from "Suramar > Suramar City > The Nighthold" to "Suramar > The Nighthold". Forge of Aeons - Music: Zone_735_AlliedRace_LightforgedDraenei_ForgeofAeons. 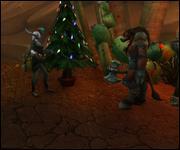 Telogrus Rift - Music: Zone_735_AlliedRace_VoidElf_01. I wonder if this tiny build is proof that a release build will be patched in soon-ish? Genuinely hoping we get 7.3.5 in early January. Even though it's a minor patch I'm going to speculate here they want it to collide with 4.2 for FF14. They've done similar things before. Sure it sounds silly from what I'm saying but it's actually pretty smart. Me personally I'd play both games at that time. 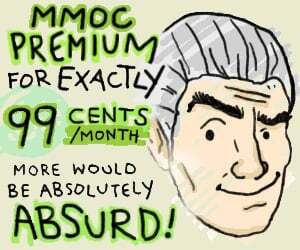 But 7.3.5 would probably garner some more interest towards WoW in that situation just as 4.2 would garner interest. Each patch i am more and more convinced that allied races comes in 7.3.5 ... 70 % sure. Oh look, they released quick build that mostly sort out stuff for Allied Races that are totally not coming with 7.3.5. 7.3.5 will likely coincide (IE 1-2 weeks after) with the last LFR wing, as the story picks up from after Sargeras stabs the planet. Playable Allied Races will not be a part of it. I'd venture sometime around March/April when BfA is pre-order-able will be when Allied Races are available for play (with pre-order of BfA). I guess the new allied race descriptions are easier to read at a glance, but I prefer the old ones. SO much this! Details add depth! Agreed. I think the old version was just fine. Looks like the BfA preorder should be online this week (before Xmas)? Please allied races in 7.3.5 and in late December or early January. And im sure 4 of the 6 allied races will come to 7.3.5 if you preorder the Addon. i think a fitting Epilog for Legion with this 4 races. That's what I thought. 4 of 6 Allies are playable in 7.3.5 when you preorder BfA, Zandalari Trolls and Dark Iron Dwarves after the BfA launch. All Allied Races requirements listed above (Legion lore master/diplomat) are also part of Legion Pathfinder (required for flying on the Broken Isles), and they are account-wide. Or am I missing something? Seriously hope they reconsider on the 'Requires 110 on this server' thing. 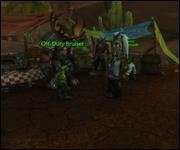 So horde have to farm out 2 full, different reps to exalted and all alliance has to do is complete the argus questlines? Yeah thats balanced.